We love to create fun and memorable children birthday cakes. If you are organising a children's party, and need a Frozen, Minecraft, Minion or Hello Kitty themed cake, then please get in touch. Anything is possible! 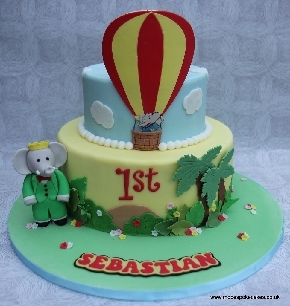 Take a look at our selection of Children's themed birthday cakes which are guaranteed to light up any party! If you have a particular theme in mind and it is not shown below then please do get in touch and we can work together to create your personalised and special bespoke cake.